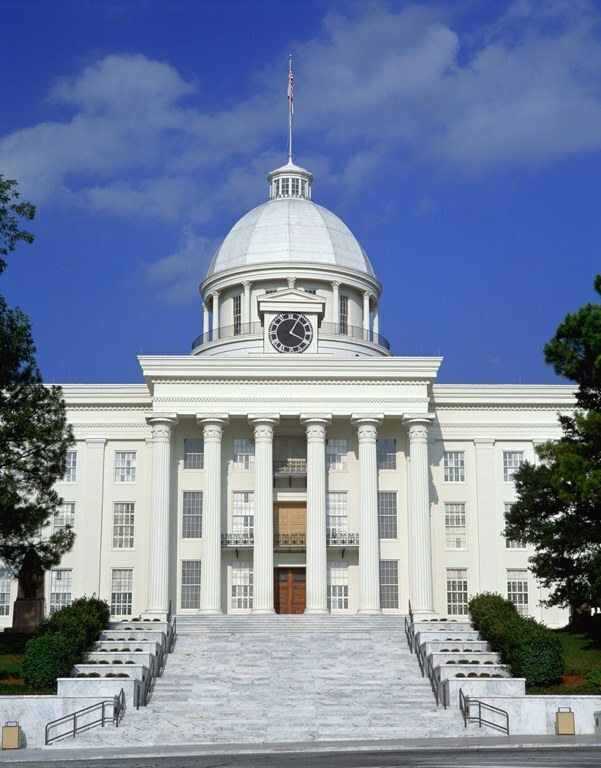 As the Alabama Legislature returns to Montgomery today, it faces an unusual situation: a relatively stable financial picture. Both the state’s main checking accounts, the General Fund and the Education Trust Fund (ETF), grew at a relatively healthy pace in FY 2017, both up about 4 percent over FY 2016. The traditionally anemic General Fund ended with an $80 million surplus, significantly exceeding estimates. The ETF met estimates and ended with a $1 million surplus. Since the current year budget (FY 2018) set spending levels at virtually the same level as 2017, budget writers can anticipate additional surplus funds by the end of 2018, creating a favorable climate for writing the 2019 General Fund budget. On the spending side, Medicaid finished FY 2017 with lower than anticipated costs. Rolling that surplus forward into the FY 2018 budget also should make budgeting for 2019 easier. And while the implications are yet to be calculated, the tax cut at the federal level will also be good for revenue collection in Alabama. When federal taxes are cut, Alabama tax revenue goes up. That’s because federal income taxes are deductible when calculating Alabama taxes. Thus the money individuals and corporations won’t be sending to Washington will be taxable at the state level, increasing revenue. While the Legislature won’t be facing a budget crisis this year, there will be struggles. Unless Congress restores federal funding for the Children’s Health Insurance Program, lawmakers will have to scramble to find money to pay for the program or curtail insurance coverage for the 77,000 low-income children enrolled in the program. Also, the perennial problem of funding for prisons will be front and center. The Alabama Department of Corrections has requested a $90 million increase in funding to help it comply with court-ordered improvements to mental health services as well as paying for basic improvements to facilities and increases in operating costs. Traditionally, the ETF has grown faster than the General Fund, since it draws on income and sales taxes. Those taxes tend to grow when the economy is healthy. The General Fund relies on a hodgepodge of other taxes, which haven’t tended to grow with the economy. However, in recent years, legislators have shifted some sales and use taxes into the General Fund, allowing that fund to benefit from growth. Legislators can take cheer in the fact that changes they’ve made in recent years to shift growth taxes into the General Fund helped that fund grow at a rate about even with the education budget. However, some of the 2017 increases are not likely to be sustained over time. For example, a new tax, the Simplified Sellers Use Tax, a voluntary 8 percent tax on sales paid by Internet retailers without a physical presence in the state, was a new revenue source. Overall, for 2017, the tax, referred to the “Amazon tax,” brought in $25 million to the state in its first year of collection. Of that total, 75 percent, or almost $19 million, went to the General Fund, while the remaining 25 percent, or $6 million, went to the ETF. That $25 million actually represents half of what the tax brought in. The other half of the tax is distributed to cities and counties, 25 percent to cities and 25 percent to counties, based on population. The tax will likely continue to grow but won’t grow as fast since the increase this year results from the fact that it is a new tax. The shift of some of those growth taxes away from the ETF has led to slower growth in that fund. In comparison to other states, Alabama has lost ground on per-pupil spending on K-12 education in recent years. Receipts to the ETF in 2017 were up by 4.19 percent compared to 2016. But that increase comes with a caveat. In 2016, $34 million was deducted from overall sales tax receipts and diverted to the Alabama Prepaid College Tuition Program (PACT). In 2017, there will be no diversion and the allocation to PACT will be paid out of the ETF. Accounting for that difference, the actual growth in the revenue flowing to the ETF is more like 3.6 percent. While the bulk of the increase in the ETF was provided by income and sales tax growth, the addition of the Simplified Sellers Use Tax provided a $6.5 million boost to the ETF. The Mobile Telecom Tax continued a multi-year decline as cell phone companies categorize a greater portion of billing to data services rather than calling. Data plans aren’t subject to the tax. Looking more closely at the details of income tax collections, individual income tax gross receipts were up 3.31 percent, or $135 million. Corporate income taxes were up more than 10 percent, or $42 million. When refunds are factored in the net receipts to the ETF from income taxes were up 4.58 percent, or $170 million. Gross receipts from the sales tax were up just 1.84 percent, but the net distribution of the sales tax to the ETF was up 3.85 percent over 2016. That higher net distribution is due mainly to two factors. First is the change to how that PACT money is accounted for. The second is a reduction in the amount refunded to the Department of Human Resources for sales taxes paid by the Supplemental Nutrition Assistance Program (SNAP). Since less was spent on SNAP this year, the state refunded $5 million less to DHR. The biggest contributor to the gains in the General Fund in 2017 was the tax on insurance company licenses. According to budget analysts, this revenue source saw a drop during the Great Recession indicating that in tight financial times, people were forgoing life insurance coverage. In FY 2017, it appears that incomes had recovered enough that more people were restoring coverage. Also, premiums on property insurance have increased due to natural disasters. The corporation tax, which is levied on out-of-state businesses licensed to do business in Alabama, saw a $19 million increase. That’s thanks not only to an increase in corporate profits but also to the dwindling amount paid out in funds from the tax set aside to pay claims on a business privilege tax that was ruled unconstitutional. With those claims mostly paid out, the full proceeds of the tax are available. The $7 million increase in proceeds from the unclaimed property fund results from efforts by the Alabama Treasurer’s office to disperse excess money built up in that fund. The growth in the proceeds from this source is unlikely to continue. The Use Tax, paid by companies buying materials from out-of-state, also increased with the pick up in economic activity. Bank profits appear to be up, producing a boost in the Financial Institutions Excise tax. Taxes on oil and gas production were up as prices rose. Auto sales taxes continued healthy growth, as did the lodging tax, spurred by growth in tourism. As the Federal Reserve increased interest rates, interest income on state deposits also increased. The biggest loss in revenue came in the miscellaneous category. In 2016 that category was inflated due to settlements from TransOcean and BP related to the BP Oil spill. In 2017, a $50 million payout from BP made up most of the miscellaneous revenue. In 2018, that miscellaneous revenue will drop further because the remaining payouts from BP starting in 2018 are pledged to pay off bonds. Also affecting the bottom line, in 2017, the Legislature chose to decrease the amount transferred into the General Fund through transfers and diversions. During tougher budget years, the Legislature required some agencies to transfer fees and other revenue collected by the agency into the General Fund. In 2017, the Legislature decreased those required transfers by about $13 million dollars.